Sites are constantly trying to increase their organic traffic and there are many ways to do this besides trying to get a good Google search ranking. You can use a SEO or internet marketing company that will work with you to get your traffic up and going so your business or blog will prove successful. There are also things that you can do to your site that well get your online traffic figures higher. One of the ways you can get people interested is to interact with them. 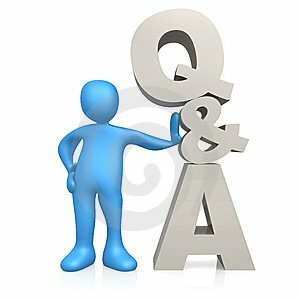 By including a question and answer section to your site is one way to up your site’s performance. Answerbase.com is one such program that’s very easy to use and has proven a powerful platform that integrates smoothly into existing systems without having to create a lot of code yourself. It uses a SaaS, which means software as a service, model that allows their programs to be integrated into most any site without compromising anything. It’s still customizable and users don’t have to worry about upgrading or maintenance because all of it is handled by Answerbase. There are other alternatives out there. This is just one option. The key is that you want to include features on your site to interact with users. Through using this device, users are asked questions and get answers that are relevant to your site. Each question is given it’s own page and from there you can add on-page optimization that is search engine friendly. In your answers you can include keywords and links that keep people directed back to your site. This will result in continuous growth as the questions add up and allows for a large base and boost in your organic traffic. This is, effectively, SEO work but it’s more direct. A company will help you create external links that guide people back to you but this is something that you can do to help out your numbers. You can also link back to your site by using social network integration. If you create a forum for people to ask questions on your Facebook or Myspace page, you can then link them back you’re your services and establish yourself as an authority site. Adding these links and resources is a great way to get people to engage and participate with your site. Interacting with customers will get you attention and increase your online traffic. You want to try and keep it simple at first and start out as a simple Q & A platform and you can evolve from there. How you start it is up to you but the overall concept is the same and that’s to get people interested and interacting with your site.